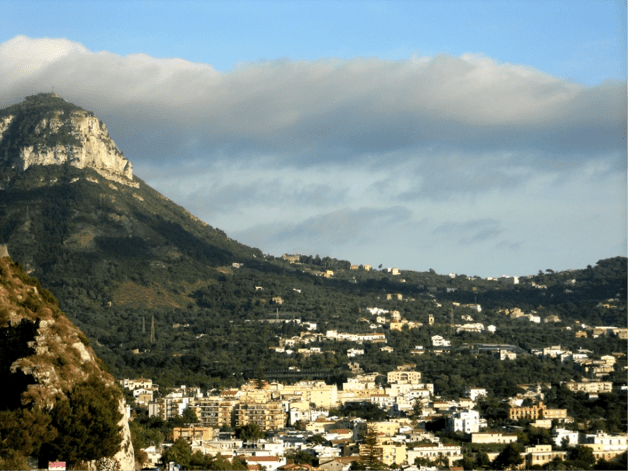 You are here: Home » Global Ambassador » South of Italy Field Study! South of Italy Field Study! Overlooking the town of Sorrento! Ciao! I have just returned from my five-day tour of Southern Italy! It was such a whirlwind trip; I feel like I haven’t had a moment to slow down! Though the trip was enjoyable, there were some hiccups along the way. In each city, I learned something that is crucial to the study abroad experience. Napoli: Napoli was the first stop of the field trip. On this trip, I visited the Archeological Museum and also explored around the town. What I learned in Napoli was to research and know the weather conditions of the countries you are visiting ahead of time. Being from California, I didn’t know just how bad humidity could be! If I did, I never would have packed warm pajamas or worn jeans while walking around outdoors. Remember: pack lightly and that lights fabrics are the way to go! Sorrento: Sorrento was the town that we stayed in a hotel the duration of the field study. While in Sorrento, I tried to get online at an internet café and found that it was impossible. Steady internet connection isn’t as easy to obtain in foreign countries as it is in America, so before traveling abroad, consider a backup form of communication to stay in touch with those back home. Though cell phone carriers may vary, my home carrier has a plan for $5.99 a month that allows free unlimited incoming text messages and 50 free outgoing text messages a month. Something like this could be a quick cure to homesickness that doesn’t break the bank. Capri: The island of Capri is so beautiful! The water was so clear and refreshing, and the buildings were all unique. Capri was my favorite part of the field study, however, as we were leaving the island, a large crowd was gathering to catch the ferry back to Sorrento. Crowds are easy territory for pick pocketing. If a stranger is getting to close for comfort, grab a firm hold of your bag and hold it in front of you. The simplest advice I can give in this type of situation is to just be aware of your surroundings at all times! A beautiful beach in Capri! Amalfi Coast – The tour of Amalfi was rather simple compared to the previous days. As a group, we toured the city center, as well as a cathedral. I wasn’t feeling well that day, so I opted out of an optional tour of the Paper Mill Museum. A mistake many travelers make is rushing to see everything there is to see in each location. The best advice I can give is to research each location ahead of time and pick a few things that really interest you, and take the time to sit back and soak everything in. If you are feeling tired, find a cool, shady spot with a great view and just relax! Enjoy every moment of it!